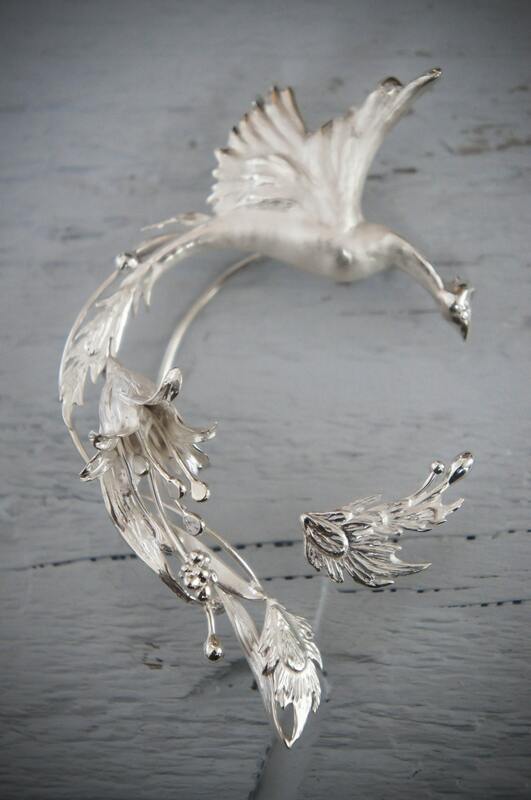 Custom ear cuff earring made from sterling silver according to your wishes and our original design. With this listing we offer you to take part of our exciting designer jewelry creation process. At the end you will get personally made for you, truly handcrafted art jewelry piece. 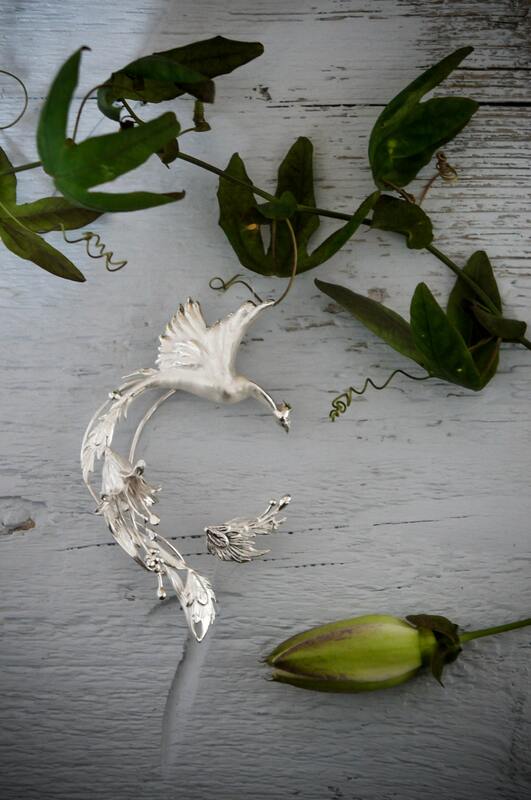 Your unique ear cuff earrings will be made from sterling silver. 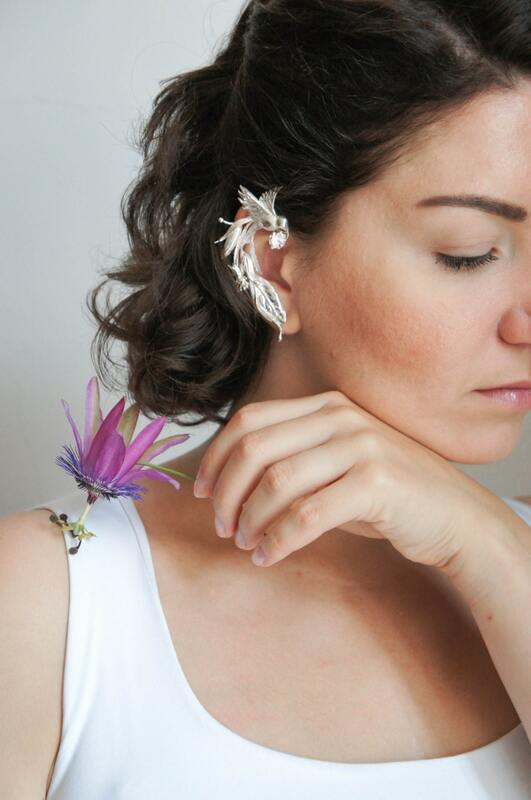 I can design ear cuff earrings with any bird or animal and adorn it with tropical flowers and leaves. Any other idea can be discussed. We guarantee high quality of material and craftsmanship. This is how it works: first I need to know your wishes about the design - do you want to have flowers, vines or something abstract? Which birds or animals you wish to include? Then I will make a sketch for you, we discuss all details, you choose the concept and we start creating. 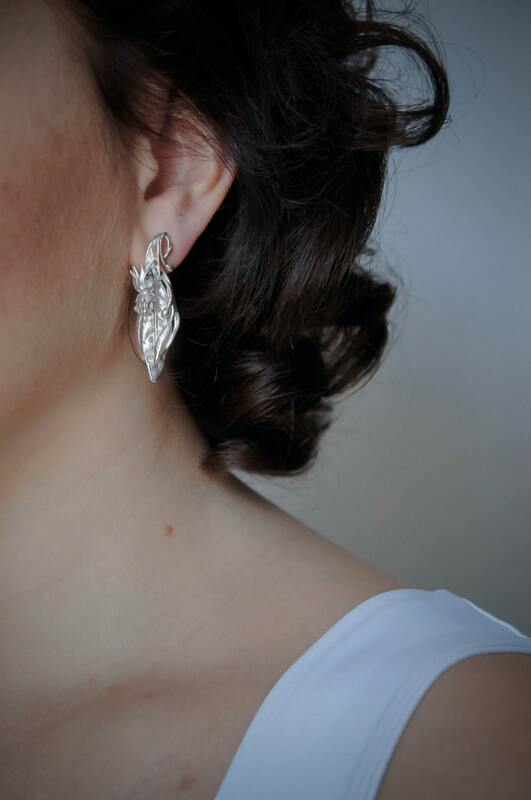 For custom ear cuff earrings I would ask for a prepayment (we will discuss the amount and payment plan). When everything is ready we send pictures to you and if you are totally satisfied with the result, then you make a final payment. 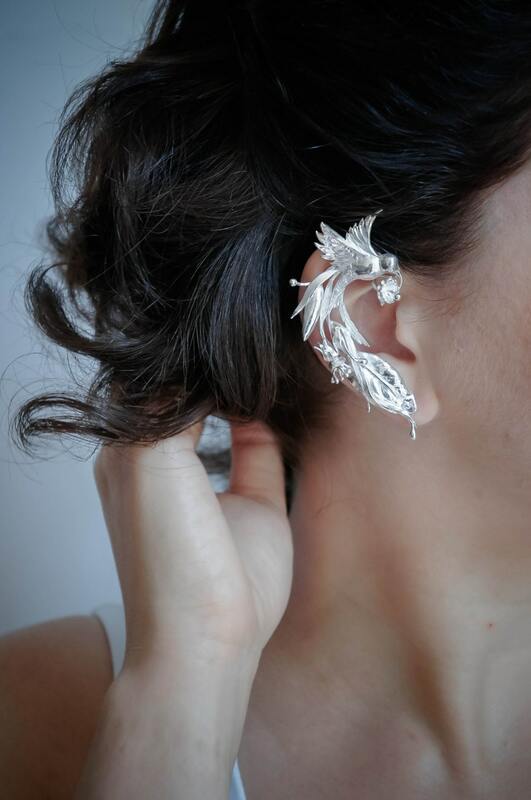 As every person has own unique shape of ears, I would ask for a photo of ears, this will help to make ear cuff earrings fit to you. We are passionate in making flower earrings and will be happy to create a modern jewelry piece for you! These unique earrings could be unusual wedding jewelry piece as well. Please ask any question, I'm quite fast in answering and will help to make you a decision.